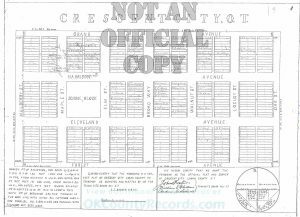 Did you know that the downtown of Crescent wasn’t actually IN the city? 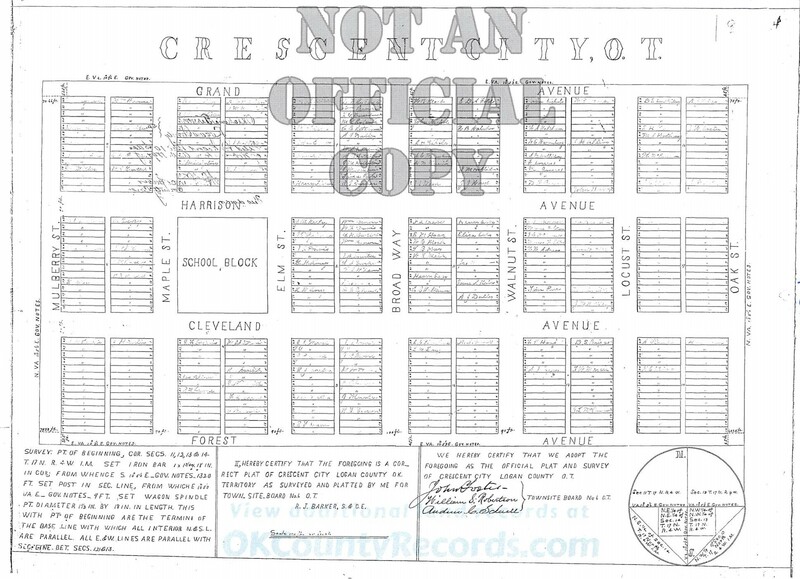 The original plat of the city from November 17th, 1893 shows that the incorporated city limits of Crescent was actually the eastern portion of town. The original plat was 18 blocks of land bordered by Mulberry St on the West and Oak St on the East, Grand Ave on the North and Forest Ave on the South. 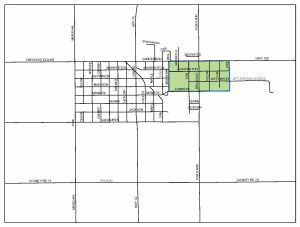 The street names have been changed since then, Grand was changed to Sanderson and Oak changed to its current name, Ash St.
Next week we skip ahead to the turn of the century with the first official annexation!